Sarah Aguilar was born and raised in Burbank California. She grew up playing sports and staying active her whole life, this experience exposed her to seeing injuries and being injured herself. Sarah has always had a passion for Anatomy and sports and learned a lot from rehabbing in the Athletic Training room when she was on the community college Tennis team. Sarah graduated from California State University, Northridge with a Bachelor’s of Science degree in Kinesiology with an emphasis in Exercise Science. Throughout undergrad, she also worked as a physical therapy aide for 6 years working with an array of clients, ranging from adolescents to adults. These experiences where in various settings which includes Orthopedics, Sports, Inpatient Oncology and Pilates based rehabilitation. During her time as an aide she trained and taught Pilates Reformer exercises to help rehab patients. 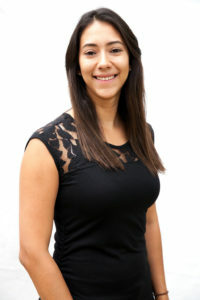 Sarah decided to return to school to pursue physical therapy receiving her Associates degree in Physical Therapist Assistant at Cerritos College in 2017. Soon after Sarah joined the OC Wellness Physicians family at the Newport Beach location. Sarah on her free time enjoys spending time with her family and friends, camping/ fishing, hiking, going to the beach and playing tennis.